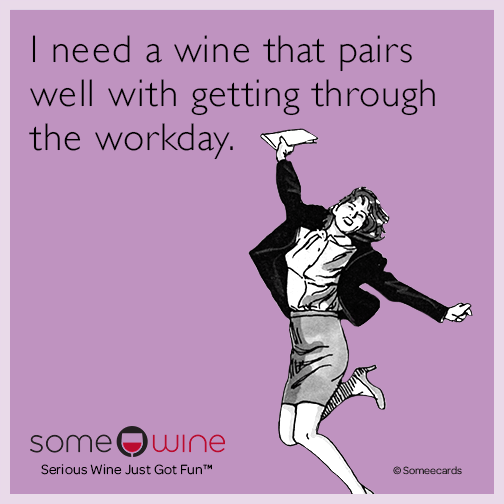 What is a day without wine? 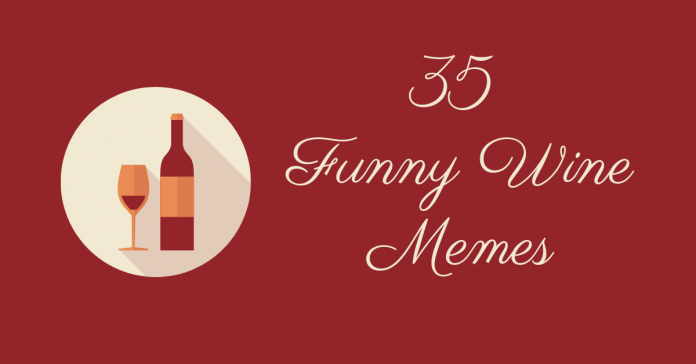 Whether you enjoy a glass of vino nightly or just on special occasions, you’re bound to see the humor in these wine memes. And trust us – they’re even funnier after you’ve had a glass of wine. Going to the actual gym is so overrated. 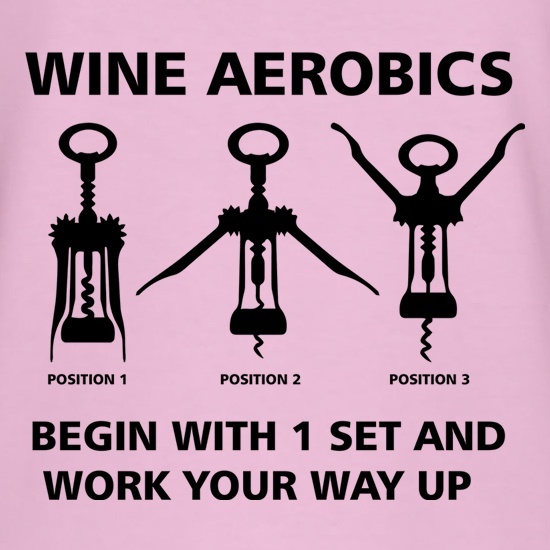 And pulling that cork out is an arm workout, right? Do you have a case of the Mondays? Or Tuesdays? Or just about any other work day? 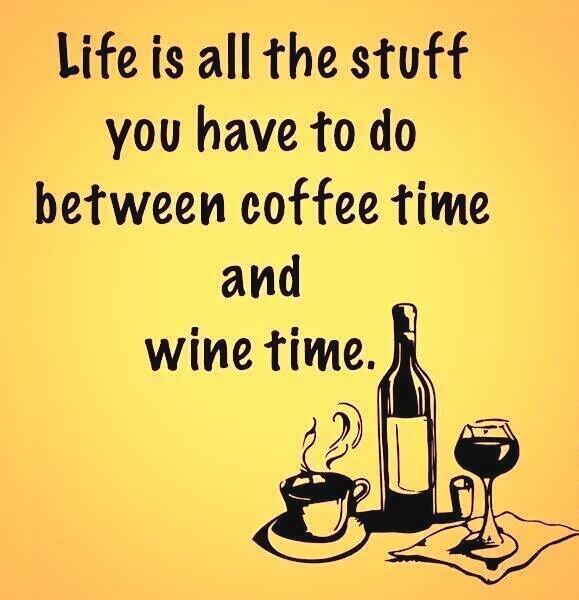 It’s never too early to start thinking about wine o’clock. But you probably shouldn’t drink at your desk. 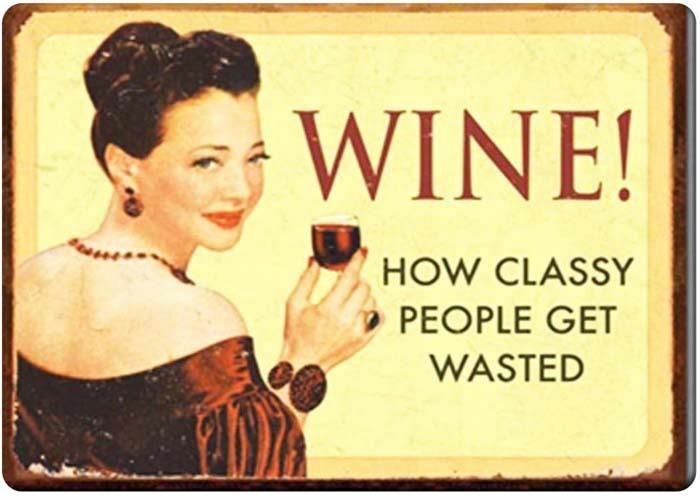 After so many wine tastes, they all taste the same, amiright? And there’s always a point where a classy, “wine tasting,” turns into full on wine drinking. Is it bad to own wine glasses that hold an entire bottle? Asking for a friend. 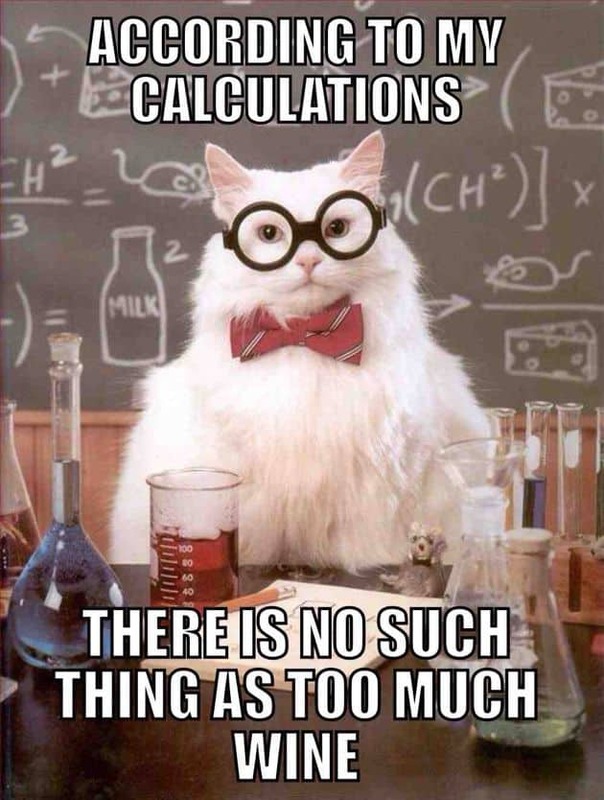 Makes perfect sense to me. 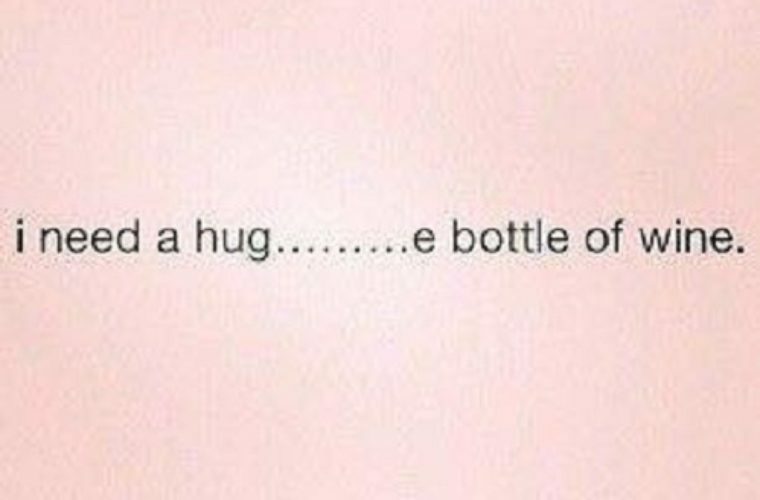 Maybe this is a wine-ku instead of a haiku? I mean, you wouldn’t want to ever run out, right? So why not pick up an extra bottle or five next time you’re at the grocery store. Even if you’ve had a bad day, wine still thinks you’re a winner. Have you ever seen someone classy drinking out of a red plastic cup? Didn’t think so. If wanting to be able to order wine at a drive-through window is wrong, I don’t want to be right. 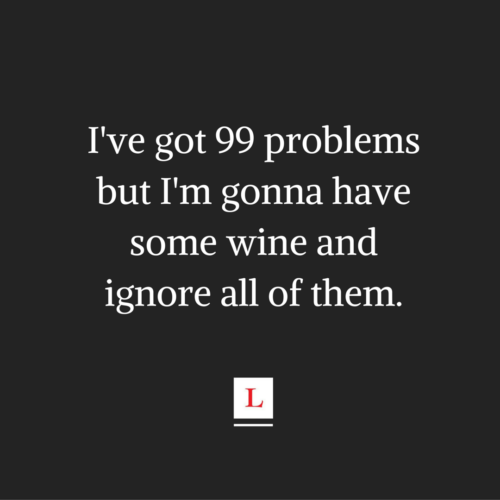 You might only remember 99 of your problems after the first glass, but after your first bottle, you might struggle to think of even just one. Just because I’m buying a case of wine doesn’t mean I’m having a party, Janet. I quite enjoy a nice glass of Reisling from the patio region. 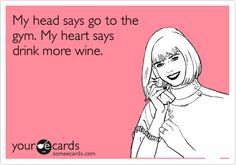 Wine can be a little bit of a truth serum. But if you drink enough, you won’t remember a word you said. And if you don’t remember it, it didn’t happen, right? A little bit of wine for me. A little bit of wine for my pasta sauce. More wine for me. 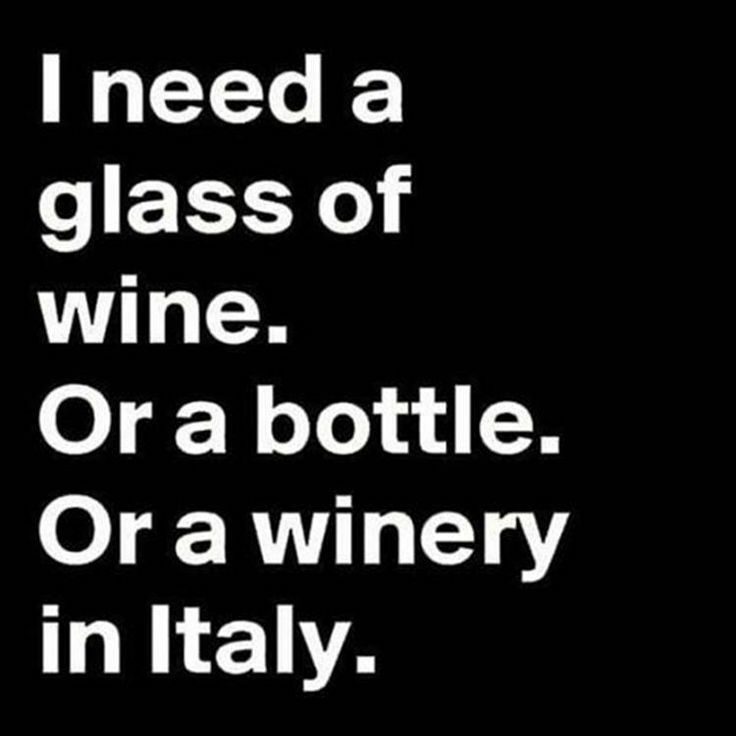 And some more wine for me…and yes, more wine for me. 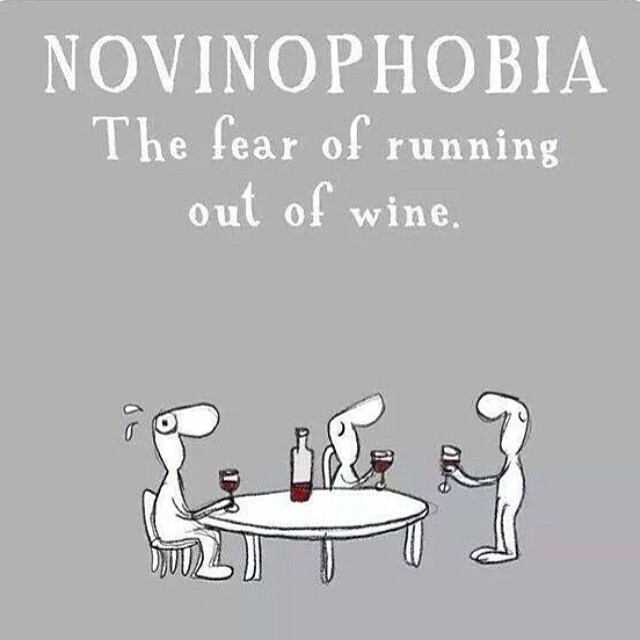 Support groups for novinophopia are held nightly at your local watering hole. I mean, it’s in cans and cardboard boxes now. And since it’s made from grapes, it’s really just a healthy fruit drink, right? Don’t bother mommy. She’s drinking her special adult grape juice. Drink coffee. Live life. 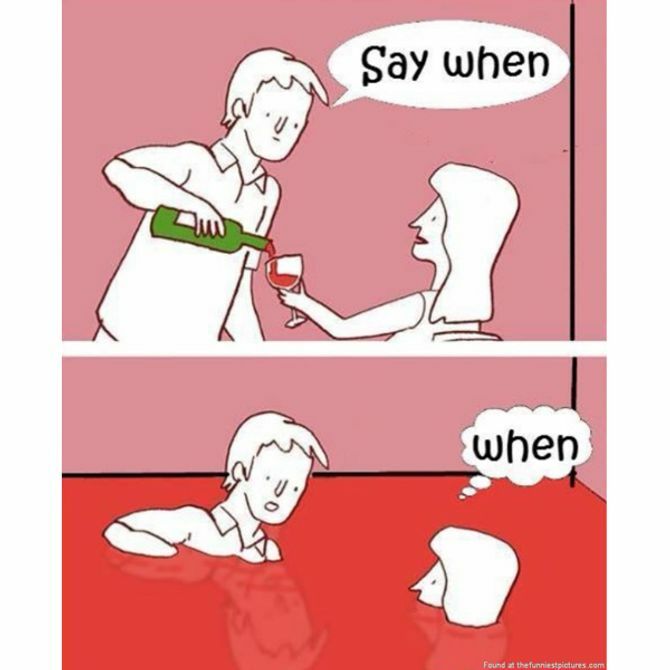 Drink wine. Repeat. 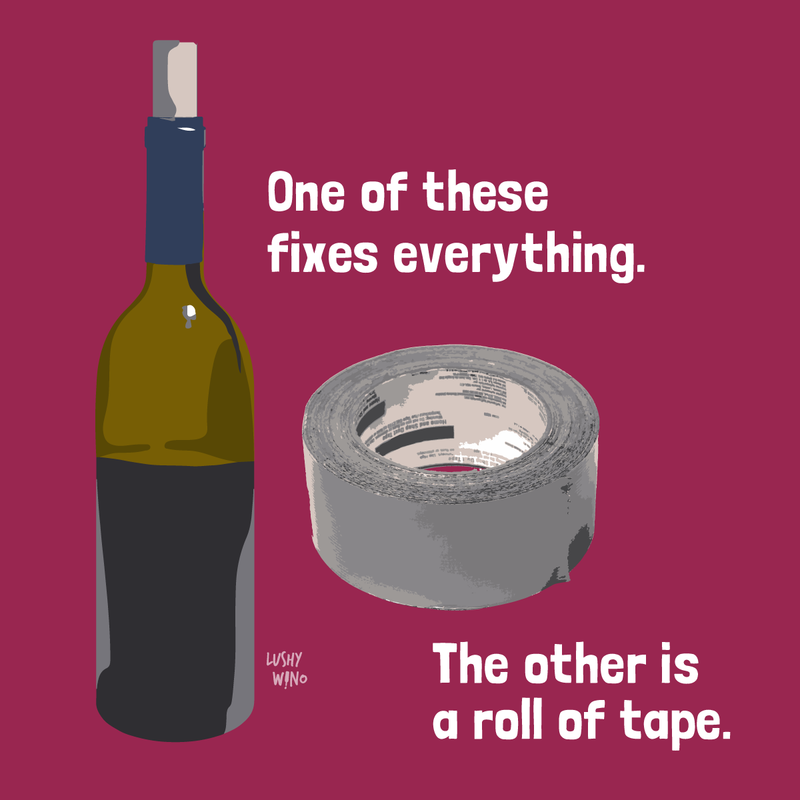 If you have a bottle of wine AND a roll of tape, are you a superhero? 556 glasses seems a little low, right? Forget the green juice. Give me the good red stuff. 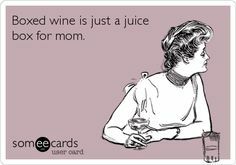 And I don’t mean beet juice. True story. Why is drinking water SO hard? 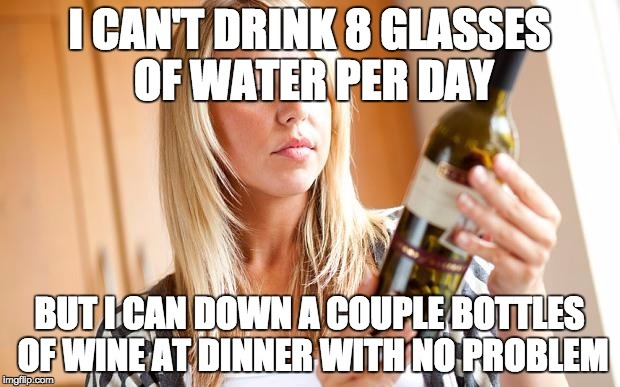 And why hasn’t anyone invented wine flavored water? 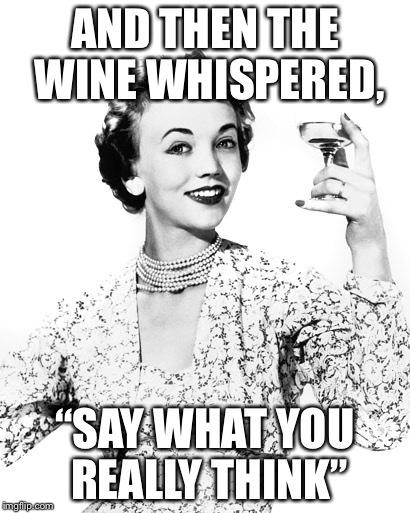 Wine would never lie to you. Right? Sometimes you get a pour so small, it makes you want to cry, doesn’t it? Actually, I was looking for a nice Cabernet, but Merlot will do. 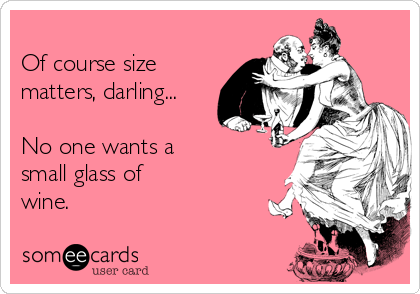 Like a genie in a bottle, wine is just waiting for you to come rescue it. It’s a rare occasion where an open bottle ends up back in the fridge and not in the recycling bin. You’re never drinking alone if your cat is home. Wine never gets handsy. But it might make you get handsy. The hearts wants what it wants. Don’t forget to pick up more wine on Monday! Love is the answer. 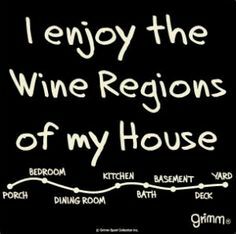 But then again, so is wine.